Sifter Jar - Net. Wt. 9 gr. 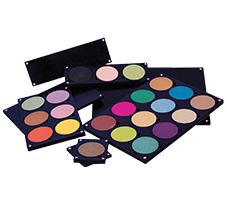 6 Shades for varied skin tones to create a flawless healthy finish on the skin. Can be used as a lighter coverage foundation or finishing powder. 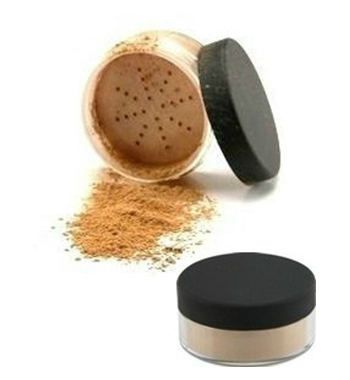 Sifter Jar: with kabuki brush, insert into sifter and tap excess powder, apply to face in circular motion. SUGGESTION: Spray a light mist of Botanical Herbal Setting Mist to set the make-up. PACKAGE DESCRIPTION:sifter jar with black cap. Light diffusing mineral powder that provides a natural radiant glow. Provides UVA / UVB protection with natural sunscreen. Hides imperfections and fine lines. Helps to provide healing and medicinal benefits (zinc oxide and phenoxyethanol). Gently infused with aromatherapy (lavender). Mica, Zinc Oxide, Bismuth Oxychloride, Silica, Phenoxyethanol, Lavandula Angustifolia (Lavender) Oil, Retinyl Palmitate, Magnesium Ascorbyl Phosphate, Tocopheryl Acetate, Cholecalciferol. May Contain: Titanium Dioxide, Iron Oxides, Ultramarines.